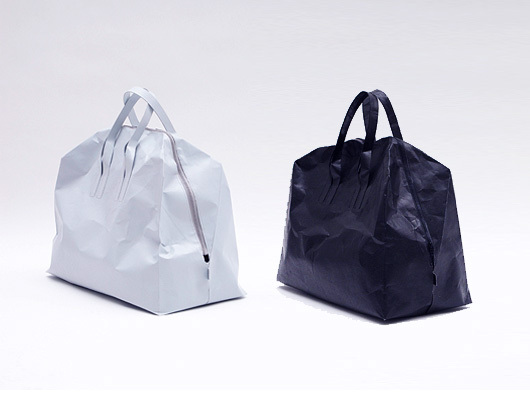 A collaborative project between Saskia and Stefan Diez, the ‘Papier’ collection of bags are most certainly at the top of my 2010 wish list. And it has nothing to do with the fact they look so good! It’s also because they tick all the boxes for a great travel bag. These bags are durable (water and tear-proof), protective, 100% recyclable and lightweight too. The collection of beautifully and thoughtfully designed bags are made of Tyvek®, a synthetic paper that is extremely lightweight, but at the same time exceptionally robust.